Ahhhh the Showstopper Challenge! To be honest, I have been looking forward to doing the Showstopper challenge since the beginning. The challenge was to create a 3-D cookie, a la gingerbread house and most of the bakers on the show did some sort of ‘scene’. 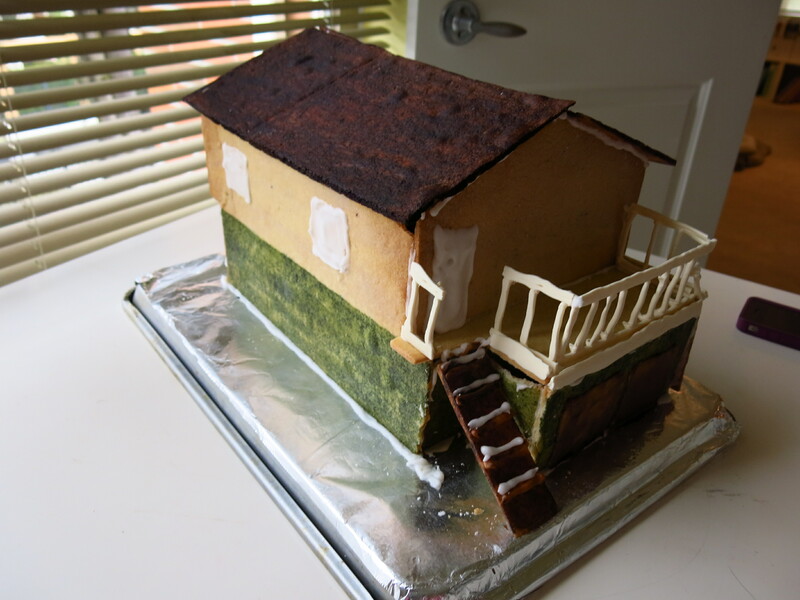 After making this cookie house, and realizing that although the bakers on the show had time to practice – 3 hours (their time limit) is a serious constraint. 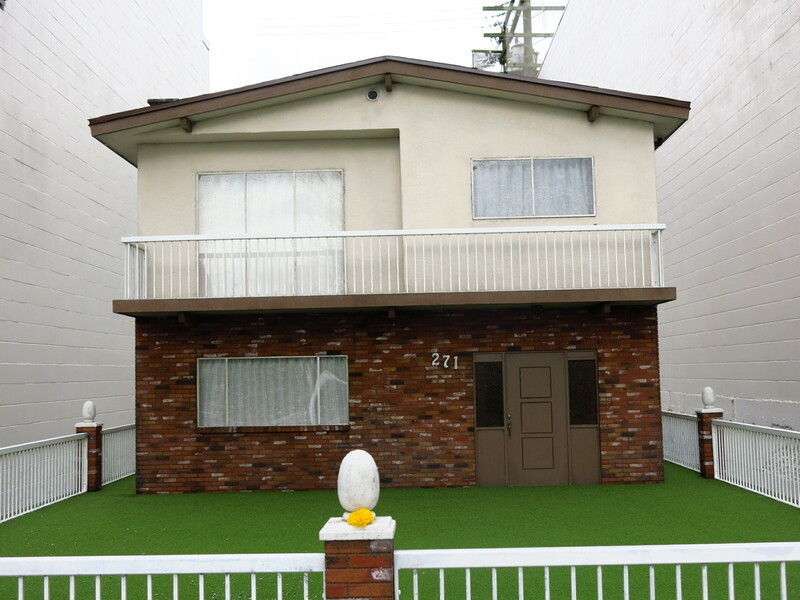 It took me FIVE days to make this house! And that didn’t include the scouting beforehand! I also did not do the recommended “two kinds of cookie” – it was just one sugar cookie recipe (which is pretty darn tasty anyway). 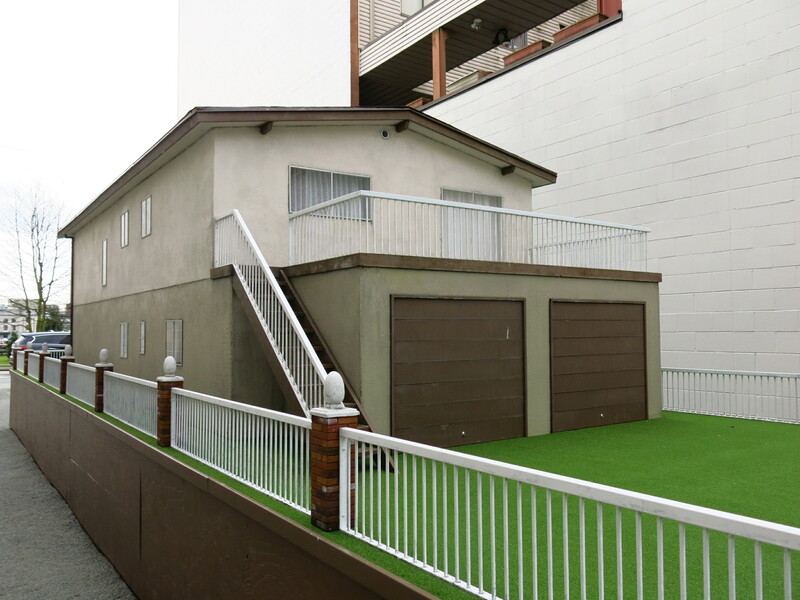 It was to my advantage that these houses were pretty basic in design, a solid rectangular shape with a split level and the garage in the back. It was also really great to walk around the house and get a really good sense of the dimensions. I let the images of the house sit with me for a few days while I thought out design and blueprints. 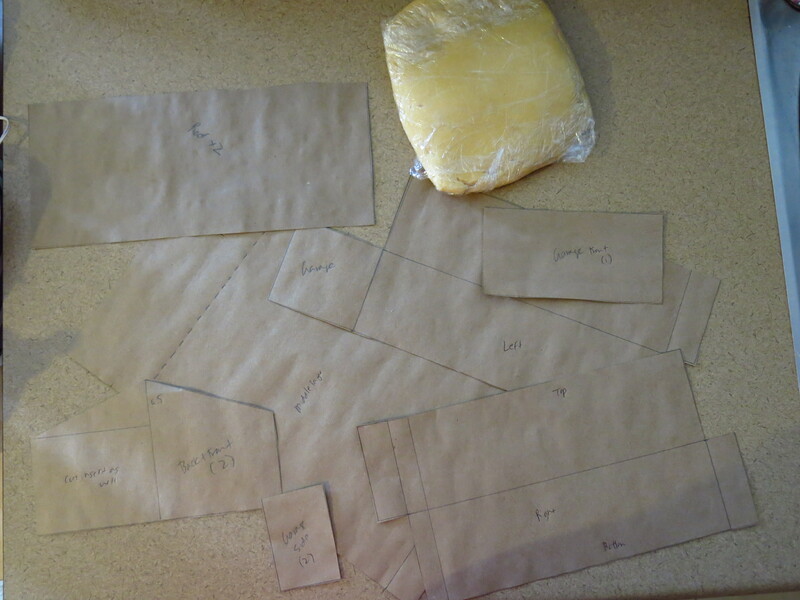 My gameplan was to create the house in a paper pattern and use them as templates to cut out the dough. I would bake them, trim as needed, paint as needed and “glue” them together. Cookie “pieces” chilled in the fridge before baking. I found out quickly that I was going to be short on dough (by just a bit – oops!) but it didn’t hamper me too much in the end. I had my pieces cut out and baked, but I should have done more major trimming when they were warm out of the oven. And then began the onerous task of trimming and shaving. I used a very sharp paring knife to create deep scores and then break off larger pieces. Any smaller adjustments I would use my microplane to shave down the cookie (thank for the tip French Pastry School!). 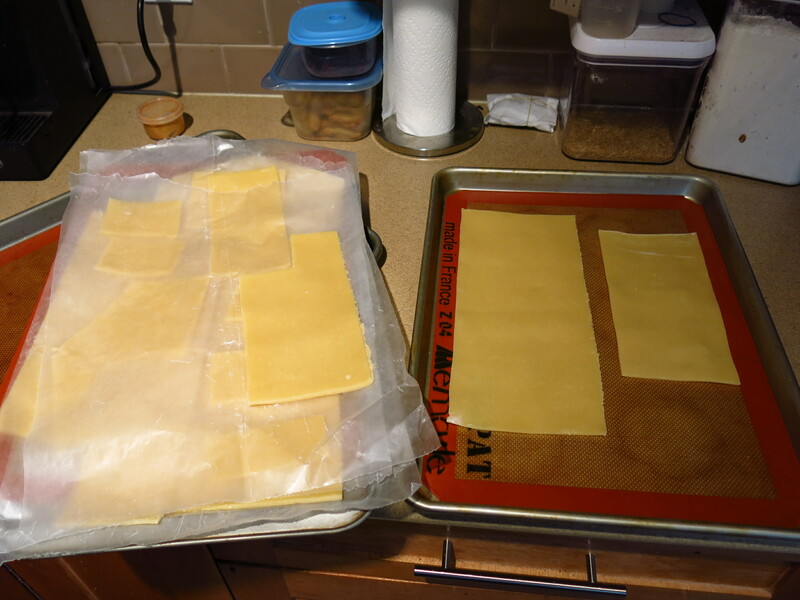 The interior supports (hot glued to a foil wrapped sheet pan) – you can also see the cookie carnage and microplane standing by. I then painted the cookie parts. Ugh. 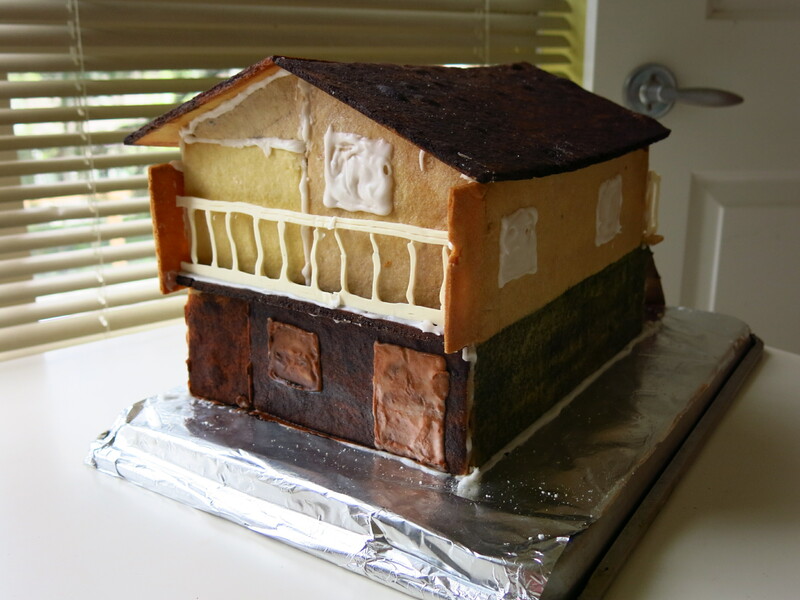 I should have done a basic glaze or coat of icing. A plain sugar cookie does not take food coloring paint very well. Anyway, after they dried…onto assembly! 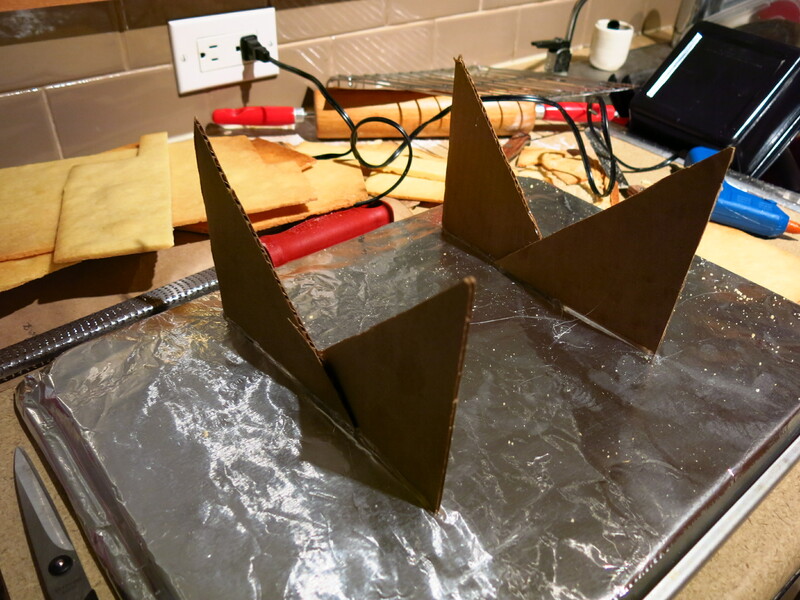 I did create some infrastructure inside the house – just some simple cardboard supports to help the sides stay up while I “glued” everything in place. I did everything BUT the roof. 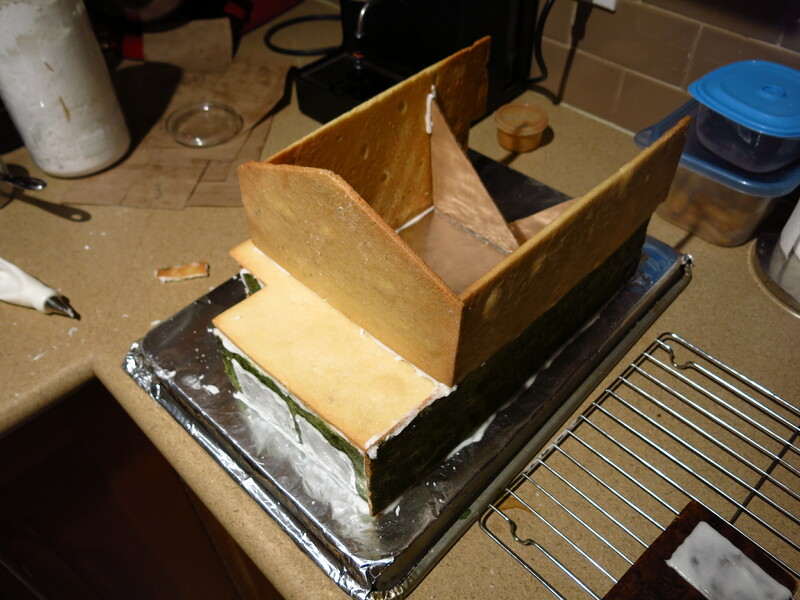 I wanted to make sure the icing was set so that the house could properly support the roof. Aerial shot of the house, facing the back. The front has yet to be iced on. 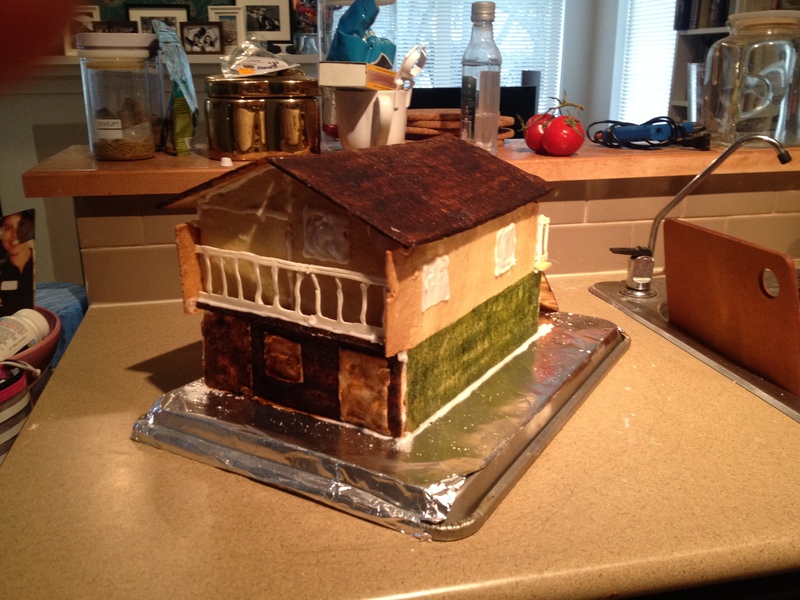 The next day, I prepared the banisters (white candy coating, piped) and carefully lowered the roof onto the house… and ta da! My Vancouver Special was done! It was way messier than expected. Obviously if I could trial run it, I could have made a damn good second version of this house, but overall, I’m pleased with my effort. I was actually really satisfied with my approach and was glad that I did take time to plan out the blueprint of the house before going buck wild and cutting out dough (my usual instinct). I was actually kind of methodical! Trim cookies when they are warm out of the oven. Now, I’ve put the biscuits episode to bed. On to Bread! You certainly DO earn a 10 on this project!! !